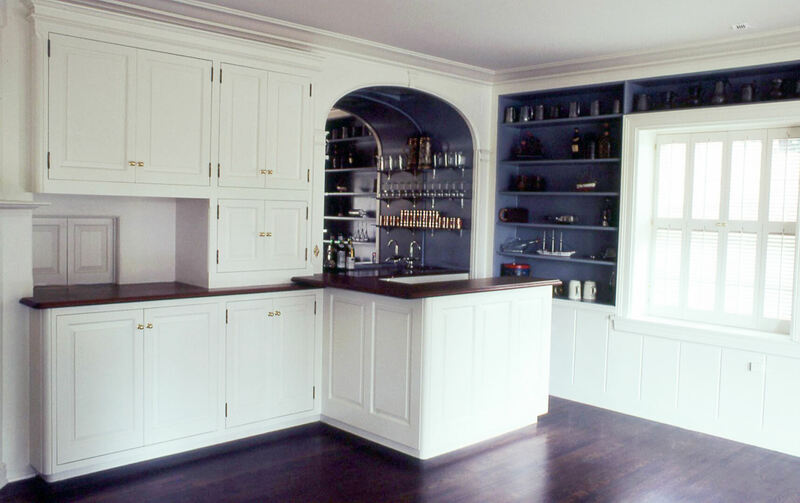 The client wanted a media center and wet bar built-in to their family room in paint-grade alder. There was a convenience pass-through to the kitchen to build around and an existing sink in the back wall alcove. The challenge was to incorporate the existing features into a new structure that would tie both together in a style complementary to the room’s architecture. The clear-finished mahogany bar tops helped warm the room color and harmonize with the hardwood floor.